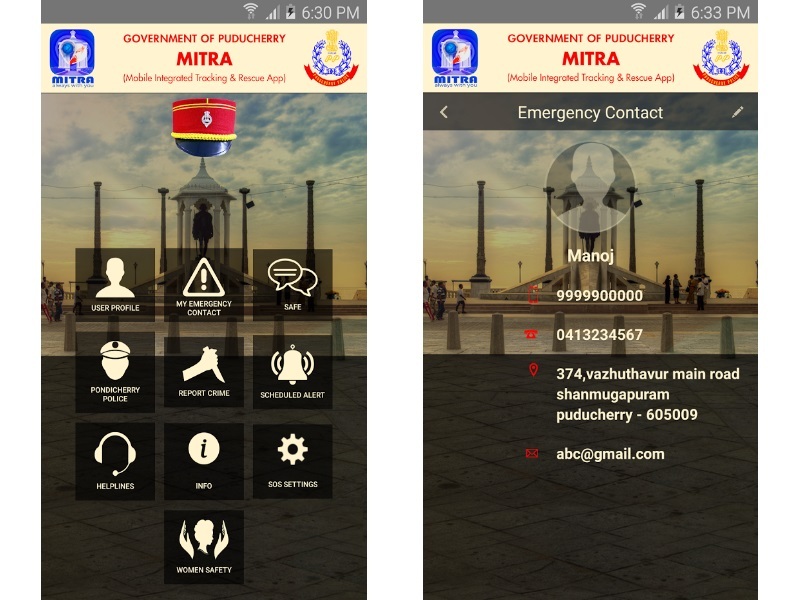 Mitra, a mobile application to ensure protection of women, children and the elderly in time of distress was launched in Puducherry on Thursday. The Mobile Initiated Tracking and Rescue application (Mitra) was meant to ensure protection and security of women, children and aged persons during distress, providing them the facility to contact police for immediate help, Puducherry Chief Minister N Rangasamy said. Addressing police personnel at the launch of the Mitra, he said protection of women and the aged was always a priority for the government and its an innovative facility to protect these sections during distress. He said government was planning to create a separate Coastal Security Home Guards wing in the Police department to strengthen coastal security in the Union Territory. The proposed Home Guards wing in coastal security would be strengthened by recruitment of around 200 personnel. now considerably and the administration was fulfilling the demands of police personnel in a phased manner. Vacancies were being filled on priority in various ranks in police force. Lt Governor of Puducherry Lt General (retired) A K Singh, who launched MITRA, said the facility was now envisaged for those having smart phones and wanted it to be devised for even those using ordinary phones. He also said there should be a larger participation of women in police force in Puducherry. The Mitra facility has been developed by Puducherry Police department in association with National Informatics Centre, Senior Superintendent of Police V J Chandran said.